The indigent and the working poor are the most vulnerable when facing an unfamiliar legal system during a time of emotional upheaval in their lives such as a divorce. To alleviate this situation, The Legal Aid Society of Greater Cincinnati, the Volunteer Lawyers Project (VLP), the Hamilton County Domestic Relations Court and the Hamilton County Law Library are introducing the Family Law Clinic. Its goal is to provide limited legal advice, information and guidance for those who cannot afford full legal representation but have decided to file their case in Domestic Relations Court on their own. Beginning Thursday, June 16, the Clinic will be open Tuesdays from 9 a.m. to 1p.m. and Thursdays from 11 a.m. to 3 p.m. It is located in Room 2-68 of the Hamilton County Domestic Relations Court, 800 Broadway, in Cincinnati. While the Legal Aid Society and the VLP help over 1400 clients with family issues each year, there are hundreds more people in Hamilton County who have no alternative but to go to court on their own. In 2015, 538 people who filed their own cases for divorce or post-divorce matters were poor enough to qualify for waiver of the filing fee. “The court has a duty to provide access to justice but when a person is unable to secure legal representation due to limited income, the reality is that the path to justice becomes burdensome. We are committed to removing barriers for low-income litigants,” stated Lisa Gorrasi, Court Administrator, Hamilton County Domestic Relations Court. The Clinic volunteers will provide help to fill out court forms and explain how court processes work. The volunteer lawyers will provide brief consultations where legal advice is needed. In cases where the parties are able to come to an agreement, the volunteers can help them put their agreement into writing. Those who need more extensive legal help will be guided to other resources. In addition, the Hamilton County Law Library will post self-help information on its website and is developing a series of videos for those who go to court on their own. 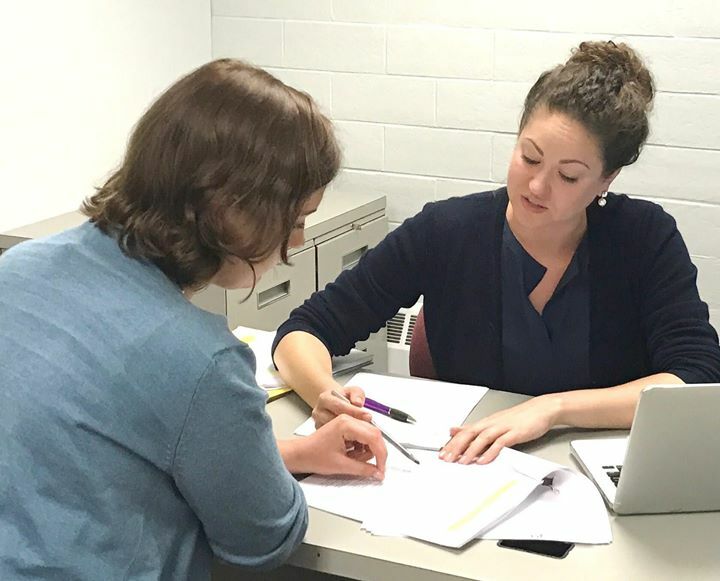 Photo above: Alex van der Zee, VLP attorney, works with a client in the Family Law Clinic.